Mr Fishfinger | Notes from the U.K.
You have to love British politics. We just had an election in which the prime minister, Theresa May—at least as I type this she’s still the prime minister, although I wouldn’t put any large amount of money on that lasting—was opposed in her bid to continue as a member of parliament by Lord Buckethead, Elmo, and Howling “Laud” Hope. But before we go into detail, a bit of background for anyone who isn’t used to British elections: In spite of being the prime minister, May had to run for her seat in parliament, just like any other member of parliament. All prime ministers do. If she couldn’t keep her seat, she wouldn’t be prime minister anymore. It must be humbling to go from wheeling a dealing and giving orders to begging for votes on equal terms with the rest of your party. Especially when people don’t take it seriously. 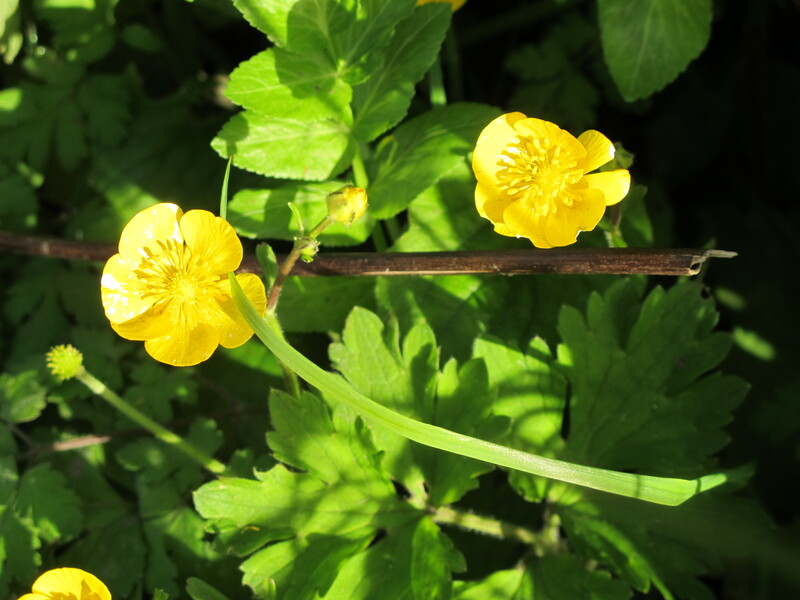 Irrelevant and not particularly good photo: Buttercups. Sorry–I’ll try to do better next time. Let’s start with the most dramatic of her opponents, Lord Buckethead, who wears a black cape and has a black bucket–or something black and vaguely bucketish–on his head. As far as I can figure out, he ran without the backing of any party. Political parties can be short sighted like that. Think of the publicity they could’ve gotten. He describes himself as an “intergalactic space lord.” The article I learned this from says his real name is unknown, although for all we know he asked Google to translate his name from intergalactic space lordish into English and it comes out as Lord Buckethead. Note to all reporters: Check your assumptions before you pass them off as facts. This stuff matters. That won him 249 votes. He (or someone else with the same name and a bucket on his head) also ran against Margaret Thatcher in 1987 and John Major in 1992, when they were the prime ministers. In Britain, you don’t have to live in the constituency you’re running for office in—or even pretend to live in it—so running against a prime minister? It’s something you can do on a whim, as long as you have the filing fee, which is £500, and meet a list of fairly boring qualifications, such as not being a member of the police or armed forces, a civil servant, or a judge. He also promised to nationalize the singer Adele and abolish all lords except himself. And just to prove he’s serious about this, he has a campaign song. Okay, I’ve heard better singers. Hell, I’m a better singer, because he doesn’t set the bar very high. But then the better singers I’m talking about weren’t singing from inside a bucket, so we should probably cut the guy a little slack. Elmo also ran against Theresa May, but he only got 3 votes, probably because he appeared under the name Bobby Smith instead of Elmo. I mean, Bobby Smith? Who’s going to vote for him? On the other hand, he got to appear on the platform, dressed as Elmo, alongside May and Lord Buckethead when the votes were counted. Lord Buckethead stole the show, though. Still sticking with May’s constituency, the Monster Raving Loony Party (“vote for the Monster Raving Loony Party—The only sane thing to do in a world gone mad”) backed Howling “Laud” Hope, who won 119 votes and got to take the quotation marks home with him, since they appeared on the ballot. I don’t know if he had to change his name legally to appear on the ballot that way. It’s something Elmo should ask him about. “Laud” Hope was also on stage, although looking at the BBC’s photo—which is wonderful—I’m not sure which one he is since he wasn’t in costume. The party could learn a thing or three from the independents. But enough of Theresa May’s constituency. Let’s move on. Tim Farron, the leader of the Liberal Democrats, had to run against Mr. Fish Finger (sometimes spelled Fishfinger), who according to the Guardian (see the first link) upstaged Farron’s victory speech. Fish Finger took the name legally after a Twitter poll of 1,000 people showed that 90% of them would rather be led by a fish finger than by Farron. What’s a Twitter poll? I don’t really know, but I suspect it’s one of those things where you ask 1,000 of your closest friends to agree with you. I was having a good time with all this until I read his twitter page, which (to the extent that I can figure out what he’s saying) is full of anti-immigrant crap and bad puns. Okay, full disclosure: the puns were on the crowdfunding page and I was willing to overlook them until I decided I hated the guy. Strong opinions on the subject? Nah. I treasure my objectivity. Still, he upstaged Tim Farron beautifully during the vote count. And got 309 votes. Plus he’s now the proud owner of a ratty-looking fish finger costume, and Halloween is coming. And that, my friends, is what really goes on in British politics.